Where did you get this map? 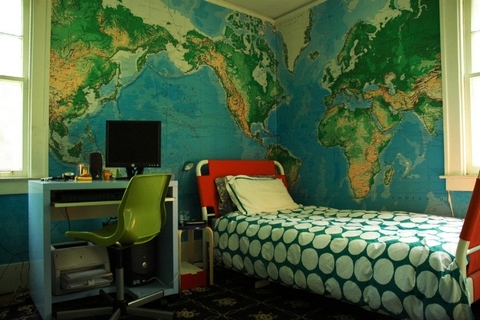 That looks so amazing, I would love to know how to achieve that look for my sons room. I've been trawling the web for ideas and you have finally given me some inspiration. thats raw but 1 thing that bed dnt match the room. you should make the bed green and blue. i LIKE the bed a little fun in a great room! Where is this wallpaper from?? Is it a wallpaper? Where is it bought? Looks the same as what is posted above. It's on sale for $69, regularly $99.